Jana Kramer and football star Mike Caussin’s baby daughter Jolie Rae’s nursery features the évolur Julienne Collection. 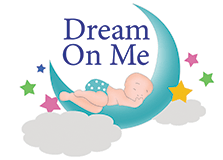 CelebrityBabyScoop has an exclusive feature on this nursery this month. The post Celebrity Baby Scoop Exclusive: Jana Kramer’s évolur Julienne for Jolie Rae appeared first on The DOM Family.